Small businesses understand that they are challenged with all the cybersecurity issues that large companies face. But often they fail to act preemptively under the false assumption that the resources of a large company are necessary to manage cyber threats. Small businesses are often surprised to learn that effective cybersecurity strategies are within their reach and that, in many cases, small businesses can respond to threats faster and more effectively than large companies. I recently participated as a speaker for a conference focused on the future of cybersecurity and how small businesses can protect themselves. Ariento’s Up on Cyber 2017 Conference at the UCLA James West Alumni Center was attended by numerous small business owners, and I enjoyed the informed questions posed by the audience. Like businesses of all size, small businesses are at risk of being hacked. 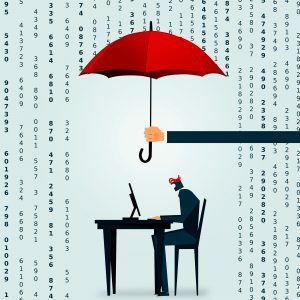 The threat of compromising customer and employee privacy, and the possibility of losing their reputations – not to mention their businesses – are good reasons that all small businesses should act proactively to put cybersecurity programs in place.